MOSCOW, January 13. /TASS/. US President Donald Trump suggested holding his next meeting with North Korean leader Kim Jong Un in Vietnam in mid-February, South Korea’s Yonhap news agency reported on Sunday. According to the agency’s information, Pyongyang is now considering the proposal but is yet to give its official response. A Singapore-based newspaper, The Straits Times, reported on Saturday that Vietnam is seen as a first-choice venue for the planned summit. According to Japan’s Yomiuri newspaper, Indonesia, Mongolia and the demilitarized zone between the two Koreas have also been considered as possible venues. 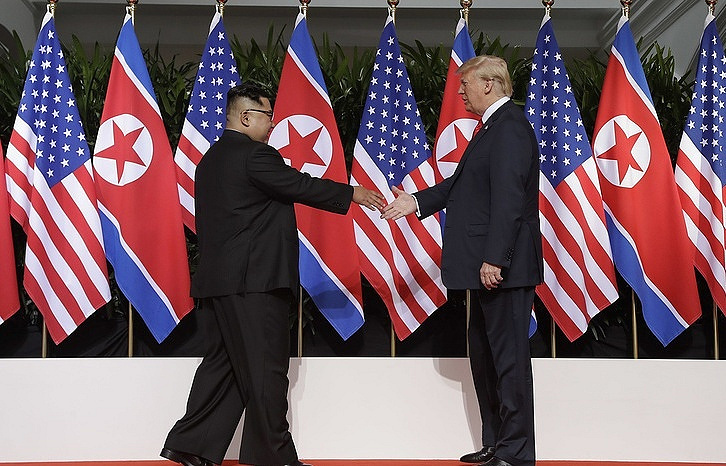 A historic meeting between US President Donald Trump and North Korean leader Kim Jong-un in Singapore on June 12, 2018, yielded a joint document where North Korea undertook a commitment to work towards denuclearization of the Korean Peninsula in exchange for security guarantees from the United States. Besides, the US president vowed to stop holding joint military drills with South Korea near the North Korean border. Trump said on December 2, 2018, that his next meeting with Kim is likely to take place in January or February 2019.